Since 1967, viewers have come to rely on Washington Week's roundtable of award-winning journalists to provide objective reporting and incisive analysis of the major news events of the week. Robert Costa, a national political reporter at The Washington Post, was named moderator of the program in April 2017. He is the eighth moderator in Washington Week’s 52-year history and the first to serve in that capacity while also working as a full-time news reporter for a major national publication. Costa, whose coverage of presidential campaigns and Capitol Hill has drawn widespread praise, brings a deep understanding of today’s changing political landscape to Washington Week. The program airs live 52 weeks a year and features reporters who cover the White House, Congress, politics, national security, foreign policy, elections, and the Supreme Court. The show premiered on WETA in Washington, D.C., on February 23, 1967, as Washington Week In Review. A few months later it began broadcasting over Eastern Educational Network, a group of 14 stations located between Washington, D.C., and Maine. In 1970 Washington Week became one of the first programs to air on the new Public Broadcasting Service (PBS) when it launched. 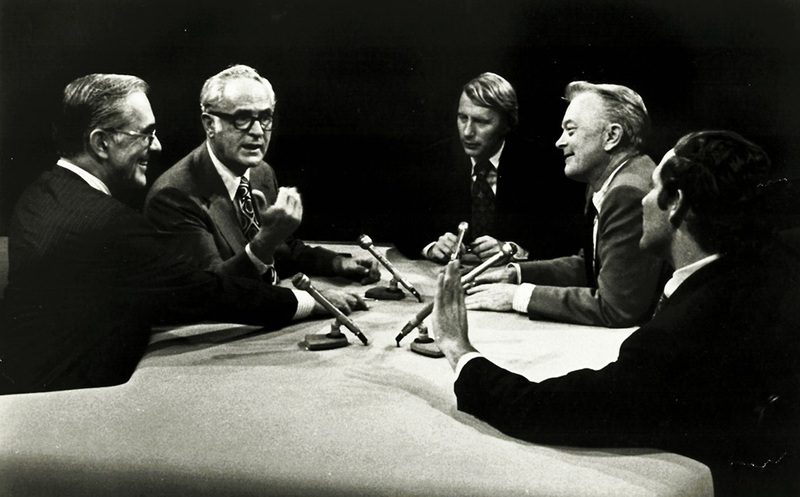 In its early years, Washington Week maintained three regular correspondents -- Peter Lisagor, Charles Corddry, and Neil MacNeil -- but in 1970 the format changed to expand the number of regular panelists. The current roster of reporters work for a wide range of broadcast, radio, print and online news organizations. WETA’s public affairs director, John Davenport, served as Washington Week in Review’s first moderator. Former CBS newscaster Lincoln Furber succeeded him. When Washington Week began broadcasting on PBS, Max Kampelman, a Washington attorney and later the chief arms control negotiator in the Reagan administration, was named moderator. He was succeeded by Robert MacNeil, co-anchor of The MacNeil/Lehrer NewsHour; veteran journalist Paul Duke, and former NBC national political correspondent Ken Bode. 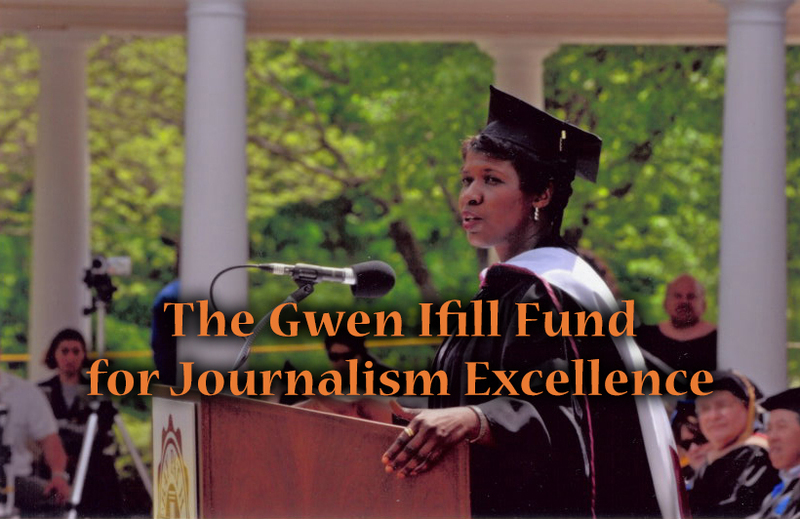 Gwen Ifill became the managing editor and moderator of Washington Week on October 1, 1999, a position she held until her death in November 2016. As a New York Times reporter and NBC News' chief Congressional and political correspondent, Ifill had been a frequent Washington Week panelist and occasional guest moderator since 1992. Among the awards Ifill has earned during her successful career: the Columbia University Graduate School of Journalism, John Chancellor Award; the National Press Club’s Fourth Estate Award; the Fred Friendly First Amendment Award; the Al Neuharth Award for Excellence in Journalism; the Harvard University John F. Kennedy School of Government Goldsmith Career Award for Excellence in Journalism, the Urbino Award and the PBS’ Be More Award. She is also an inductee of the National Association of Black Journalists Hall of Fame and the Society of Professional Journalists, Washington, D.C. Chapter - Hall of Fame. Washington Week won a George Foster Peabody Award for coverage of the 2008 presidential election and its series of road shows in eight cities across the country. In 1975, the program was honored with the Alfred duPont–Columbia University Award, in recognition of outstanding journalistic achievement. Other awards include a Silver Medal from the International Film and Television Festival of New York; Emmy Awards from the Washington Chapter of the National Academy of Television Arts and Sciences, and local awards around the country. Washington Week is broadcast live 52-weeks a year and carried by more than 90 percent of the 306 PBS stations around the country and reaches 97 percent of U.S. television households. Since 1975 American Forces Radio and TV Network airs the program to troops throughout the world. Between 2005-2012, Washington Week had an editorial partnership with National Journal. In 1972 the Nixon administration generated intense pressure against public affairs programs on PBS, and specifically cited Washington Week. The deluge of mail from avid viewers saved the program. 15 min 47 sec ago. 19 min 21 sec ago. 25 min 42 sec ago. 31 min 16 sec ago. 31 min 44 sec ago. 34 min 6 sec ago. 43 min 27 sec ago. 43 min 29 sec ago. 55 min 46 sec ago.